Well I'm not gonna jump right into trying the exteme portion. I'm actually a bit scared of that one, so I though I'd start of with trying the Odens 69 white portion first. As you know, if you've been here before, I prefer white portions instead of regular portions. I think it just feels more fresh and healthy. However the Jakobsson's Fläder and Odens Extreme is regular portions. I like the other flavours from Jakobsson's like Mint and Wintergreen and now I got a tip from Chad saying I had to try the Fläder. I also like Thunder a lot which is regular portions too. 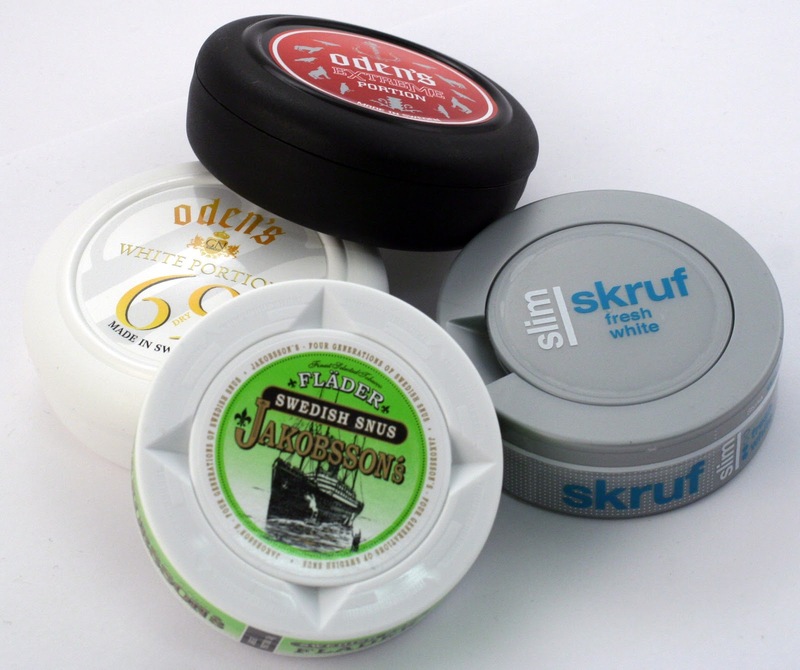 1 comment on "Trying out some new snus"
Definitely try the Flader. That pic has 3 of the 4 snuses I actually have with me in my bag today - Skruf Fresh, Extreme, and Flader. The Extreme is a really unique taste but VERY good. And Flader is amazing. Yey! I tried the Extreme!